It was another pleasant morning to the start of the day with overcast conditions that delayed the day’s play by 25 minutes. Just as I wrote yesterday, the Indians were almost there reaching the 450 figure. 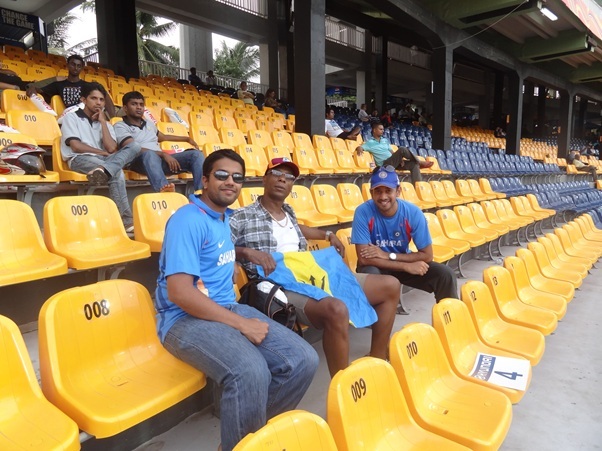 But for the late aggression shown by the home side, it was quite evident that 500 was gettable. 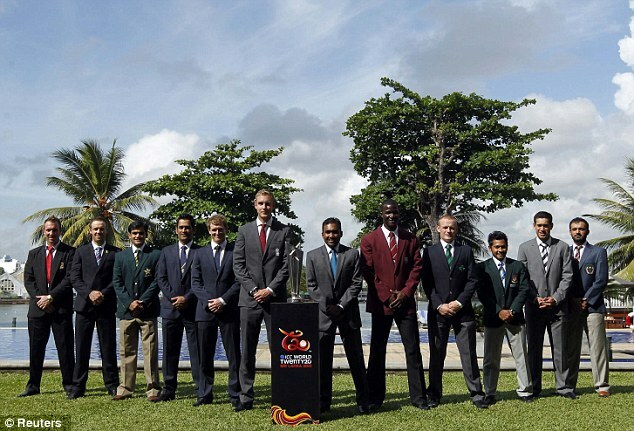 The visiting side was expected to exploit the overcast conditions and run through the Indian line-up. However the captain cool Dhoni played sensibly along with Pujara for a 127 run stand for the 6th wicket. It was Pujara who started off the aggression trying to hit over the long-on only to find the safe hands of Franklin. 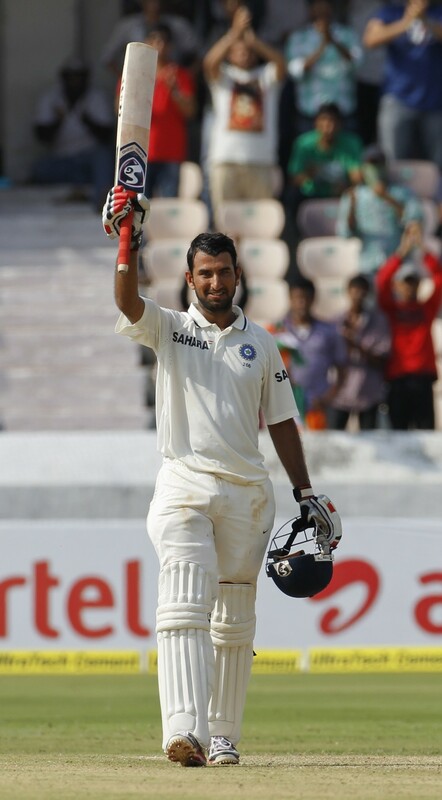 But he managed to go past the 150 mark with a terrific innings that lasted for almost 8 hours in total. The skipper continued to show the aggression and paid the price – failing to convert his 20th Test fifty to a 100. Thanks to a brisk and classy short innings from Ashwin who managed to time all his 5 boundaries into the gaps with immaculate precision. The Kiwi bowlers did not make much of an impression with their performances. However Patel and Boult did manage to pick 4 and 3 wickets respectively. Patel’s bowling did give a hint of what was to later come with the Indian spinners bowling on a track that offered turn. The Indian dressing room must have been happy to put up a decent first innings total. The NZ team would have thought of sticking on to their own free batting style which was obvious in the way McCullum played his shots. The Indian speedsters Zaheer and Umesh did bowl to their strength but did not help enough to give the Indian team the early breakthrough. It was no surprise from Dhoni in bringing on the spinners as early as in the 8th over of the innings. Ojha was brave enough to have flighted the ball and McCullum paid the price for his aggression by getting caught by Kohli at covers. Williamson – the next man in who scored his Test century against India in his debut game got off to mark in style with a boundary. 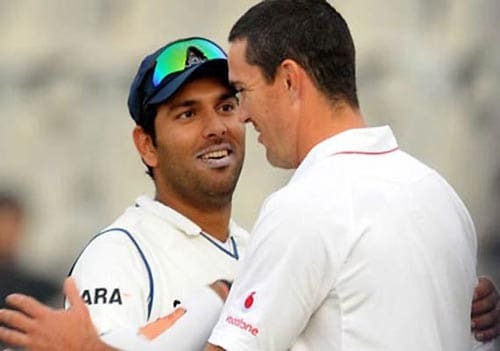 However Dhoni did not wait too much to bring in Ashwin, the other spinner. Be it ODI, T20 or Test, Dhoni always seems to have immense trust in his ace off-spinner, Ashwin. True to it, with excellent field placement, Ashwin began with a wonderful delivery to send back the other opener Guptil to the pavilion. It was largely expected that the Kiwi captain who came in to bat next at no 4, would bat through saving his team. However it was another beauty from Ashwin that Taylor did edge it marginally to Kohli at backward short leg. It was 3rd consecutive catch by Kohli. Ashwin continued to bowl with his magicial skills turning the new ball. He was rewarded with the wicket of Flynn as well who was trapped infront of the wicket. When the 4th wicket fell with score just then had crossed 50, the Indian off-spinners looked more confident of reducing the visitors to the tail by the end of day’s play. However a little resistance was shown by the duo Williamson and the wicket-keeper batsman Wyk adding 44 runs for the 5th wicket partneship. When everything looked set at last for the Kiwis, Ojha came back to send back the set batsman Williamson. At the stumps of day 2, the Kiwis are in real trouble with the Indian spinners reducing the Kiwi side to half already. 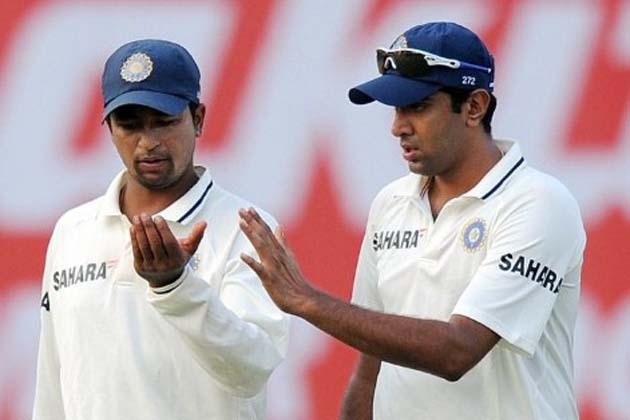 The weather seems to be threatening; however Ashwin and Ojha are well set to finish the Test match favouring an Indian win much earlier! Let’s wait to see if they could restrict the visitors and make them follow-on!